This template highlights the services of a beauty parlor which include Facials, Waxing, Hair and Make-Ups. 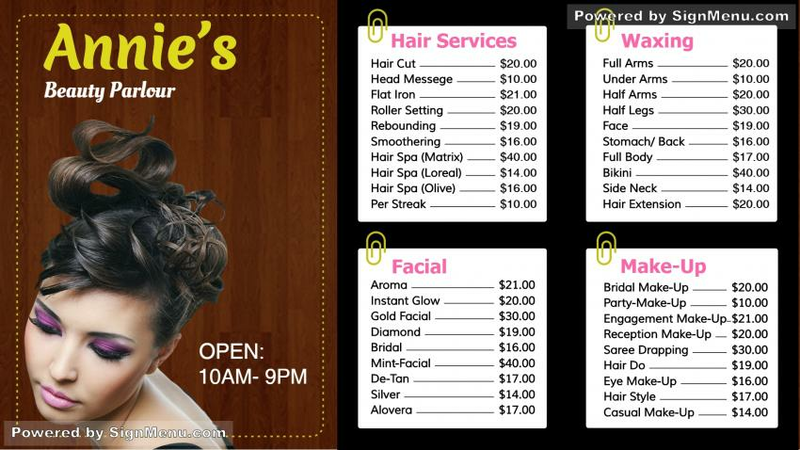 You too can use this template to showcase your beauty grooming services on a digital signage menu board with graphics. The Salon business is usually an area- based business wherein the business thrives on word-of-mouth publicity. a brilliantly lit digital screen advertising it's services will adequately compliment it's marketing message and assist in garnering additional customers . This template is ready for download and use.